Dock Technologies (Madison) improves the effectiveness of healthcare practitioners. The practicalities of care are increasingly difficult, with more weight placed on technologies that distract from the patient. The clinicians need precise feedback to be able to act, especially in emergency cases like heart attack and stroke. Dock Technologies has created a product solution that captures better data from the most critical clinical cases while allowing better responsiveness and care to the patient. 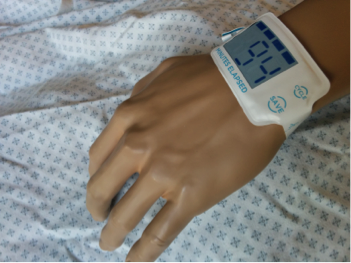 Their product, the INSIGHT TIMEBAND, creates a line-of-sight cue for the care team showing whether or not they are on track for a given event, process, or care pathway. Simple feedback supports accountability for the care team, and whether it’s an emergency department team triaging an acute stroke patient on the care pathway for interventional neurosurgery or a managing a patient’s wait time, timely care is quality care. In 2017 Dock secured their first sales, received three additional patents, and developed the software for their INSIGHT DASHBOARD. They have product trials being conducted in multiple area including the care of stroke patients and patients dealing with sepsis.